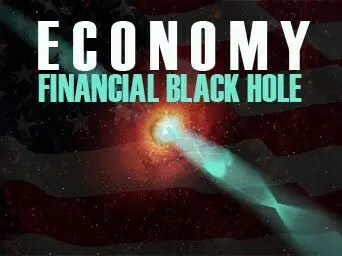 So conveys Henry Blodget (http://finance.yahoo.com/blogs/) of Niall Ferguson’s view about how the U.S. should deal with its lousy economy and debt-and-deficit problem. Lorimer Wilson, editor of www.munKNEE.com (Your Key to Making Money! ), has edited Blodget’s original article* below for the sake of clarity and brevity to ensure a fast and easy read. The author’s views and conclusions are unaltered and no personal comments have been included to maintain the integrity of the original article. Please note that this paragraph must be included in any article re-posting to avoid copyright infringement. On the one hand are the “austerians,” who think the U.S. should immediately cut government spending to balance its budget, “taking our medicine” in one painful dose. On the other hand are the Keynesians, like Paul Krugman, who think the U.S. should launch more government stimulus, increasing the debt in the near-term, but helping the economy to grow out of the problem. One of Krugman’s nemeses over the past few years has been Harvard professor Niall Ferguson, the author of a new book called CIVILIZATION: The West And The Rest who has been screaming from the rooftops about the risks of piling up too big a debt-mountain, and he’s not backing down now. Importantly, Ferguson says he is not in favor of radically chopping government spending in the next year or two, clobbering the economy in the process. Rather, he says, the government should develop and implement a sound 10-year plan, one that phases in the cuts and eventually gets on solid footing. If we don’t, Ferguson says, we’ll eventually pass the point of no return and then we’ll be forced to do what Greece has done – make such drastic cuts that we get into a “death spiral” in which the each new cut shrinks the economy and increases the deficit and the debt–the very problems that such cuts are supposed to address. 2. National Debt Burden per Capita-to-Income Index at 50 Year High – and Growing! The global financial system is highly interconnected so problems in one part of the world can reverberate almost everywhere else – risking a default, contagion, contracting credit and collapsing economic activity… [Take a look at the amazing graphic in this article to get] a visual guide of the intertwined complexities of the crisis. 5. These 10 Charts Illustrate America’s Disastrous Fiscal Condition – Take a Look (and Weep)! 6. Brace for Impact: U.S. About to Go Off a Financial Cliff! Previous National Debt Burden per Capita-to-Income Index at 50 Year High – and Growing! Next Believe it or Not: Australia’s Housing Bubble is Worse Than That in the U.S.